"I wonder if I should have called myself Kai instead of Rodriguez?" SEARCHING FOR SUGAR MAN. I'd like to say I've known about the life and music of Sixto Rodriguez for years, but even my desire for indie-cred has its limits. Like most people (outside of South Africa anyway), I wouldn't even know the guy's name if not for Malik Bendjelloul's justifiably celebrated, Oscar-anointed documentary. Rodriguez recorded two albums of uniquely poetic rock and roll in the early 1970s. A couple of Detroit record producers found him gigging in the back of a club called the Sewer and decided to make him a star. At least that was the idea: Two wordy, lushly orchestrated records later, he was back to his day-job doing manual labor in the Motor City. Done and done, or so it would seem. But over the next decade (how it happened is still unclear) those two albums became huge hits in South Africa. More to the point, Rodriguez became a culture touchstone for the anti-apartheid movement. He also achieved mythical status when increasingly grisly rumors of his public suicide began to circulate. To summarize Searching for Sugar Man more extensively would necessarily ruin some of its surprises, and I won't do that here. Bendjelloul assembles a compelling, finely crafted detective story, told primarily from the perspectives of a journalist and a record-store owner whose paths fortuitously crossed within Rodriguez super-fandom. He eschews most of the techniques that can make documentaries feel staid and conventional. The first half of the movie in particular avoids standard talking-head medium shots, voice-over, etc, instead making brilliant use of animation, music and gorgeous cinematography. The momentum ebbs a little in the middle, when the movie shifts into a mode of reverential biography, but the first act is so strong, so unexpected, that I can easily forgive this minor lapse. The most surprising thing about all this may be the fact that this story hasn't been told before. There's significant cross-cultural resonance in the scenes about the end of apartheid played against the notion that a minority artist couldn't move units in America in the 1970s. And the tragic under-representation of the artist is an eerie foreshadow of all the file-sharing turmoil of the late 1990s and early 2000s. My only complaint is that when Bendjelloul sets out to do a little detective work of his own and figure out who actually profited from Rodriguez's South African success, he loses the trail almost immediately. Maybe it speaks to the vagaries of the business more than any shortcomings of the filmmaking, but it leaves lingering concerns nonetheless. 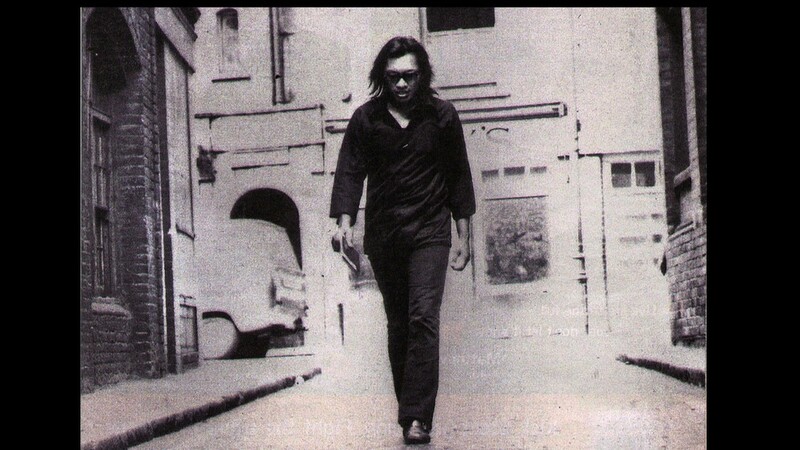 That narrative dead end notwithstanding, Searching for Sugar Man remains a thought-provoking, ultimately heart-warming rock-bio as historical document; well worth the price of admission. PG13. 86m. ADMISSION. I've long harbored a school girl crush on Paul Rudd. Fortunately, my wife likes him too. As far as I'm concerned, he can save just about any movie with his likeability and perfect timing. I'm on board with Tina Fey, too, but I think she's at her best working from her own material. Other writers rarely give adequate voice to her withering, self-deprecating sarcasm and impeccable joke-craft. And those are the high and low points of this offering: great leads, (among the most charming in the business), and a script that under-serves their talents. Fey plays Portia Nathan, a Princeton University admissions officer stuck in a rut. Rudd's John Pressman is a rootless free-spirit with an adopted son, currently running a developmental high school in New Hampshire. Their paths cross when one of his students (whom he suspects may be the baby Nathan gave up for adoption, lo these many years ago) expresses an interest in attending Princeton. Very earnest, mature themes develop from there. The premise is a solid one, but director Paul Weitz (American Pie, Little Fockers) takes a broad approach, counting on the chemistry of his cast and the too-obvious tropes of the script (Lily Tomlin as Portia's hyper-feminist author mom, Rudd's knee-jerk reaction against his blue-blood family) to carry the day. The strategy almost works, but not quite. Fey and Rudd are as winning as ever, likewise the young supporting cast. On the whole, Admission offers some pleasant, if predictable, distractions. PG13. 117m. THE CROODS. Animated movies have so consistently let me down in the last few years that I approach them only with the lowest of expectations. And the premise of this one -- a family of cave-dwellers must confront their fear of change to avoid extinction -- didn't give me much to look forward to. That'll show me: Thanks to a likeable ensemble (Nicholas Cage, Emma Stone, Ryan Reynolds, Cloris Leachman, Clark Duke), a unique visual sensibility and general good-heartedness,The Croods won me over handily. Sure, the script spends most of its time in pretty familiar territory, but the way directors Kirk De Micco and Chris Sanders handle it offers some welcome surprises. PG. 96m. G.I. JOE: Retaliation 3-D. Sci-fi actioner based on the Hasbro toys picks up where G.I. Joe: Rise of Cobra left off. The evil Zartan (Arnold Vosloo), leader of Cobra, is impersonating the U.S. President and has branded General Joe Colton (Bruce Willis) and his cohort (Dwayne still "The Rock" Johnson, etc.) as traitors. Can the good guys beat the bad guys and save the world? PG-13. 99m. THE HOST. Sci-fi romance based on Stephenie Meyer's Invasion of the Bodysnatchers-esque novel stars Saoirse Ronan (Atonement) as Melanie, a love-struck girl who resists having her body inhabited by a parasitic alien "Soul" called Wanderer. Directed by Andrew Niccol (Gattaca, In Time). Rated PG-13. 125 m.
SPRING BREAKERS. Former Disney girls (Vanessa Hudgens, Selena Gomez) gone wild as teens on a crime spree who've fallen under the influence of a bad dude (James Franco). Written and directed by Harmony Korine (Kids, Gummo). Rated R, 90m. Arcata Theatre Lounge takes you into a barren dystopian future on Good Friday with director Alfonso Cuarón's CHILDREN OF MEN, a dark tale with Clive Owen shepherding the last pregnant woman on Earth toward a brighter future. On Easter Bunny Sunday the ATL has the cartoon/live action mash-up WHO FRAMED ROGER RABBIT? from director Robert Zemeckis. The marvelous murder mystery has Bob Hoskins as a P.I. investigating death by falling piano and tempted by Roger's ravishing toon wife Jessica -- she's not bad, she's just drawn that way. IDENTITY THIEF. A long-suffering everyman (Jason Bateman) hunts down the crazed throat-puncher who stole his identity (Melissa McCarthy). R. 111m. THE INCREDIBLE BURT WONDERSTONE. Satire of Vegas-style magicians has Steve Carell as Wonderstone facing off against a Criss Angel-ish Jim Carrey. PG13. 100m. SILVER LININGS PLAYBOOK. Bradley Cooper and Jennifer Lawrence deliver Oscar-nominated performances (Jen won!) with a twist of mental instability in this bipolar dramedy. R. 122m.